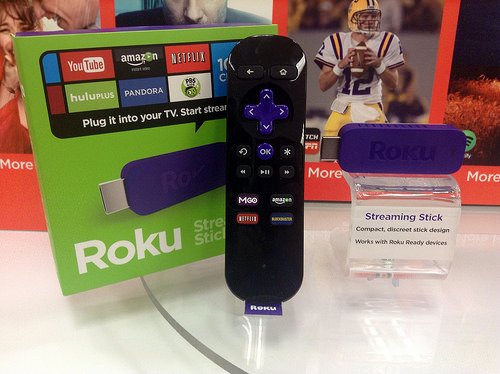 Electronics Costs > How Much Do Roku Channels Cost? The Roku is a small box that connects to the internet wirelessly and is capable of streaming over 1,800+ channels and more than 500,000 movies and TV shows when it is connected to your television. With these channels, it can often confuse newcomers as some people think these channels will cost money. While some of these channels will cost money, most of the channels you come across, especially if you have an existing cable television subscription, will be free for the most part. When you want to add a channel to Roku, you will always be presented with the cost of the channel, and depending on the channel you want to add, it can range anywhere from nothing to as much as a recurring $10 per month fee. If it says “buy,” for example, then it will be a one-time fee and you will never be charged again. On the other hand, if the option says “subscribe,” then the credit card you’re using will be billed this amount every month, but of course, as with any service, your recurring charge can be canceled by accessing the “My Channels” tab from the main menu. These prices are across the board, regardless of which Roku model you have. Some recurring channels, such as Netflix, Amazon Prime, Dishworld and Hulu Plus, all charge a monthly fee to access this content, but even if you subscribe, you will be able to watch the content on any streaming device, not just the Roku. Sports channels will often apply a one-time fee, but you can pay by the month as well. MLB.tv, for example, charges $25 per month or close to $90 per year. With your subscription, you can access the content on your Roku. The NBA League Pass offers a similar setup, with similar charges. In some circumstances, the channel may say it’s free; however, when you download the channel, the video content may be limited or you may be forced to sign up via a third-party website. For example, A&E and Disney has a free channel available, but if you’re not a current cable subscriber, your access will be very limited; however, if you do have a subscription and you confirm it with the channel, then your videos will be unlocked for free. While these channels will be free, you’re still paying a cable bill in order to unlock the content, so it’s all in how you look at it in terms of pricing. This RokuGuide.com guide does a nice job explaining how the channels are priced. According to this official Roku blog post in 2014, the company says the Channel Store has close to 1,800+ channels, with hundreds of channels, such as YouTube, Pandora, PBS, PBS Kids, Hasbro and Crackle being free. The Roku box, of course, will be required in order to play the Roku Channels. The price will greatly depend on the model you choose, but for the most part, the highest rated units will always be in the $50 to $100 range. Again, if you’re signing up for a recurring service, you will be charged monthly for this channel unless you cancel it on your dashboard. Depending on how you view it, you will need a cable subscription to access all cable network television apps in its entirety. If you want free channels, simply browse the Roku Channel Store and sort by the “best” free channels. As mentioned above, as long as the download says “free,” you won’t be charged a penny; however, the minute you insert your credit card, you may be charged a recurring fee, depending on the channel you want to watch. As of 2017, with the exception of a local news channel app, local streaming channels, such as Fox, CBS, NBC and ABC, are not available on Roku. Only the streaming apps are available at this time. Remember, if it says “free,” the channel will be free to download; however, you may have to pay to view all of the content once you access the channel. Again, you won’t be charged unless you input your credit card. The Roku, even if you don’t have a cable subscription, has more than enough free channels to keep you entertained. This Yahoo! article talks about the 28 channels you should consider downloading, and this LifeHacker.com article talks about the cheapest ways to take advantage of your Roku.